Media captionDrone explodes above a podium where officials were watching a military parade at a Yemeni base. A Houthi military source told Al-Masirah TV that Thursday's attack targeted "invaders" - an apparent reference to coalition personnel - and "mercenaries" at al-Anad, which which is about 60km (40 miles) north of the second city of Aden. It was carried out after "careful monitoring of gatherings and movements" at the base, he added. What will the new year hold for Yemen? Video footage of the incident showed the drone approaching the parade ground rapidly and at low altitude before exploding above the covered VIP podium. "It was a very strong explosion and we could feel the pressure," local journalist Nabil al-Qaiti, who was at the parade, told the Associated Press. Medics at the Ibn Khaldoun hospital in the nearby city of Houta told AFP news agency that six soldiers were killed and 12 people were injured in the attack. They said the wounded include Gen Zindani, Mr Turki, intelligence chief Brig-Gen Mohammed Saleh Tamah, and senior army commander Fadel Hasan. Chief of staff Gen Abdullah al-Nakhi was also at the base when the drone struck, but there are conflicting reports about whether he was hurt. It was not immediately clear if any coalition military officials were present. Later, Houthi military spokesman Gen Yehia Sari announced that a new kind of drone had been used. The Qasef-2K, he added, was designed to blow up about 20m (65ft) off the ground, sending shrapnel towards a target. Saudi-owned TV channels described the drone as "Iranian made". Iran has denied supplying weapons to the rebels. 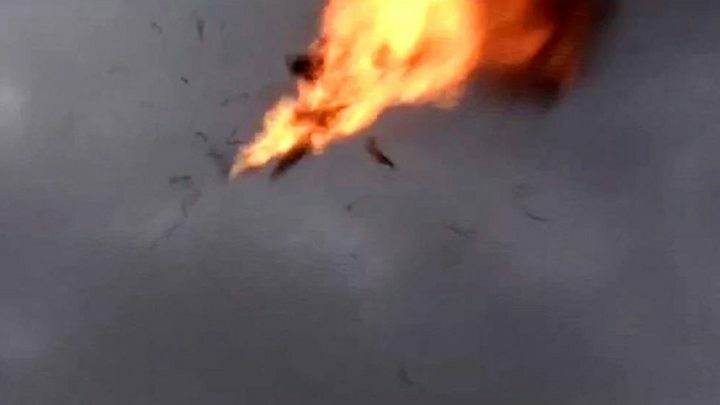 But a UN panel of experts said last year that the Houthis' Qasef-1 drone was "virtually identical in design, dimensions, and capability" to Iran's Ababil-T drone. Yemeni Information Minister Moammar al-Eryani tweeted that "the crime of targeting the base will not go unanswered". The attack, he added, showed the Houthis did "not believe in the language of peace" and "only understand the language of weapons". The attack comes a day after the UN special envoy to Yemen said the warring parties had largely stuck to the ceasefire around Hudaydah. However, Martin Griffiths told the UN Security Council that "substantial progress" was needed before further talks could be held on ending the war.